Correction Brings Life! – Journey of Emotions! 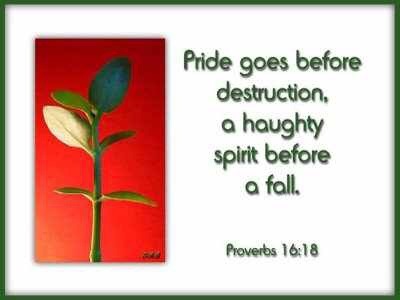 A prideful despising of correction leads to justification of our behavior. Justification leads to denial of poisonous character defects which leads to contamination of the heart, ending in death and destruction. A little confession can go a long way!